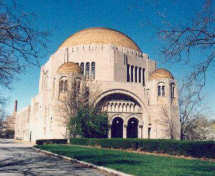 In 1996 The Temple expanded its name to include its original name, Hebrew for Glory of Israel, and was now The Temple - Tifereth Israel. 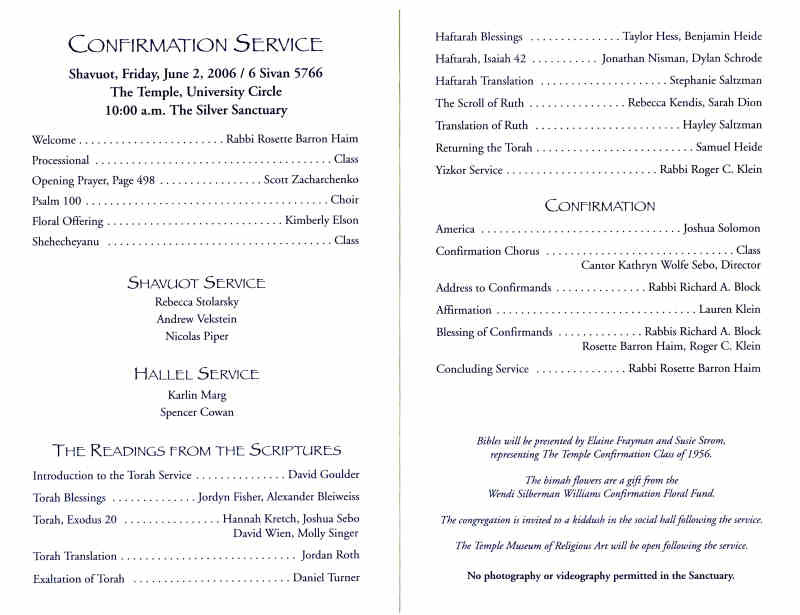 In 1999 they named their first Cantor, Kathryn Wolfe Sebo, and in 2001 selected a new Senior Rabbi, Richard Block. Their clergy team now leads services in black robes, wearing kippot and tallitot - signs of an evolution from "Classical Reform" to greater respect for tradition. Bar Mitzvah, a custom that began in the Middle Ages, and a passage first celebrated in the 1920's, Bat Mitzvah, are now the norm. 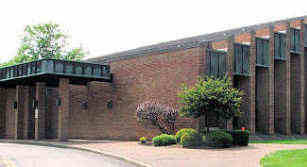 The "branch", built in 1971 on Shaker Boulevard in Beachwood as a school building that could be readily expanded, has added several wings and is now the center of congregational life. 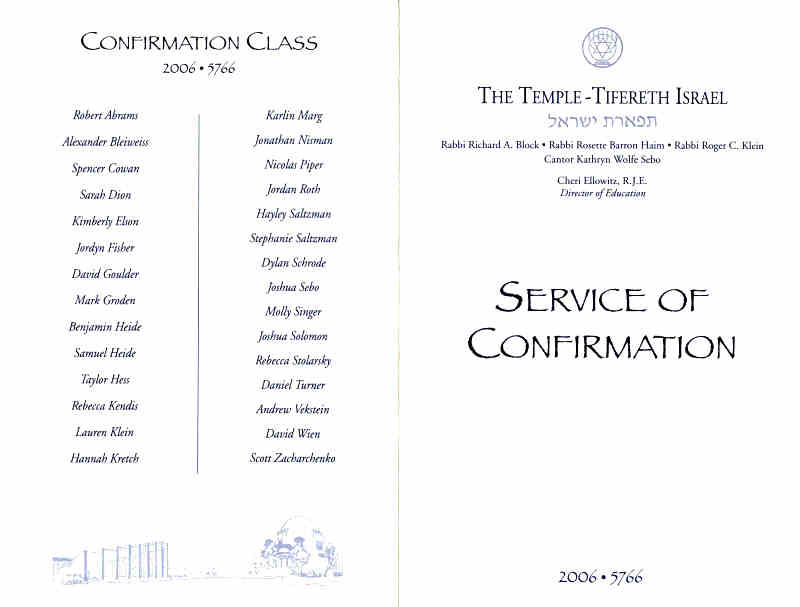 The University Circle facility, 82 years old, is still used for the High Holy Days and for life cycle events, such as Confirmations. 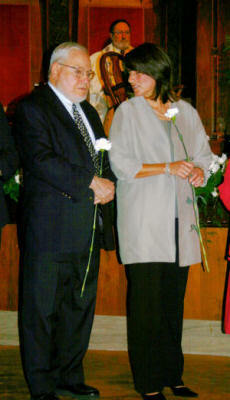 In June 2006 Bud Weidenthal's granddaughters were confirmed there. 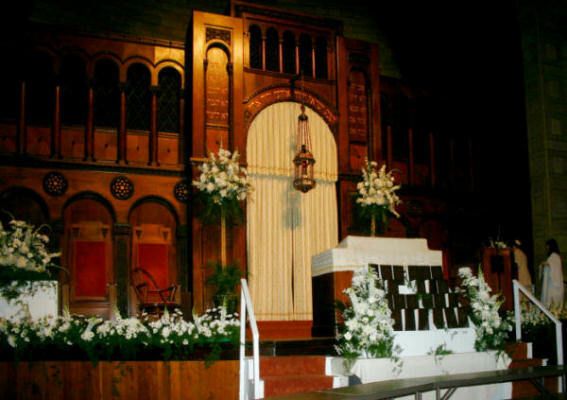 The bimah of the Silver Sanctuary in University Circle, scene of confirmation ceremonies since 1924, was decorated with white flowers. 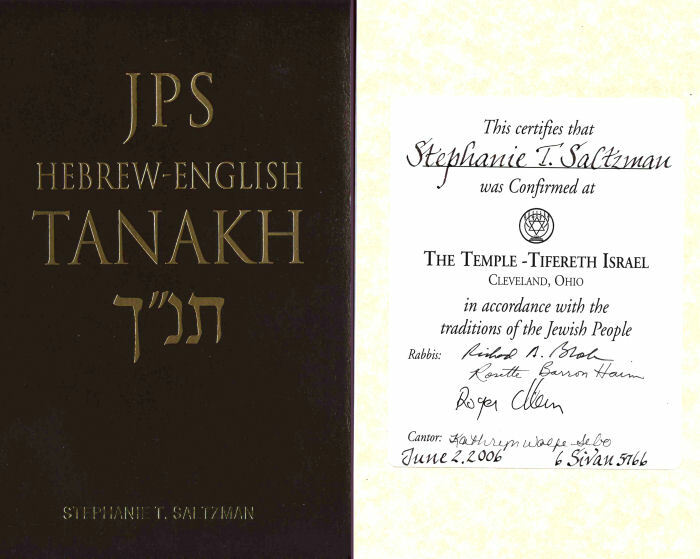 Copies of the Tanach, one inscribed for each confirmand - a more than 100 year-old congregational custom - are on display. Family members who had been confirmed at The Temple were invited to take a flower and join the procession. Bud and daughter Susan stand proudly in line. 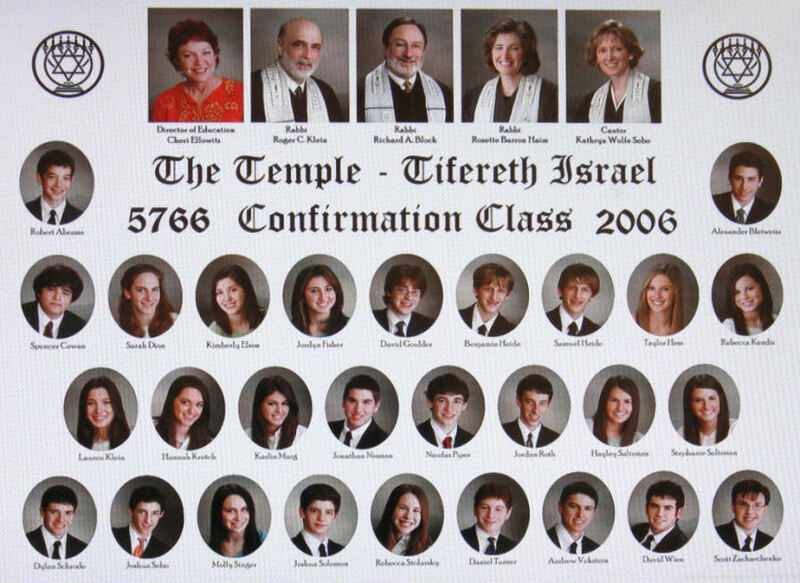 Fewer youngsters are continuing through Confirmation. 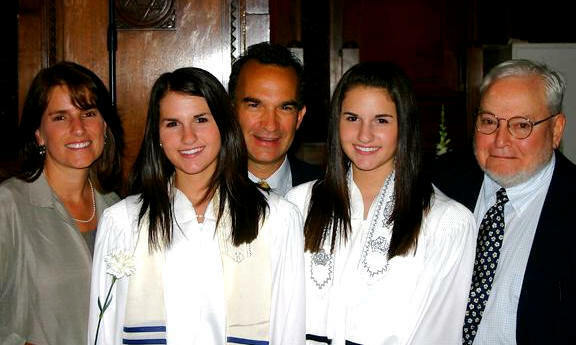 Though in 2006 The Temple - Tifereth Israel has four times as many member families as it did in great-grandfather William Weidenthal's time (1904), The granddaughters' class of 29, listed below, is smaller than their great-grandfather's class. For Plain Dealer accounts of two confirmations in the 1860s, click here. If you are interested in the history of The Temple - Tifereth Israel, visit our pages on Rabbi Abba Hillel Silver and Tifereth Israel. And please visit our Home page and look around this website.